Port Townsend Vineyards’ winery is located near the city’s southern entry. 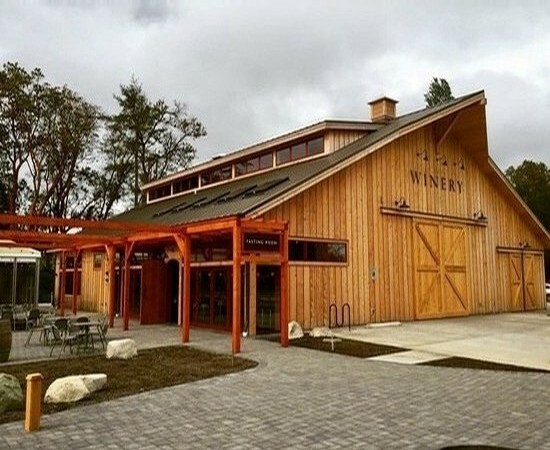 Featuring a new co-op production facility to support sustainable winemaking, our winery greets visitors entering Port Townsend by road and highlights the care put into the wine. All of the grapes grown locally as well as those sourced from top regional vineyards are cared for in this brand new wine production facility. Built as a custom-crush facility, this new building houses modern winemaking equipment and ample space for barrel storage. It was designed to ensure the hand-harvested grapes could be crushed and fermented with minimal intervention using environmentally-efficient water and energy practices. Port Townsend Winery is located at the southern entry into Port Townsend off of West Sims Way and includes a unique tasting room experience.